How do I utilise my office space better? 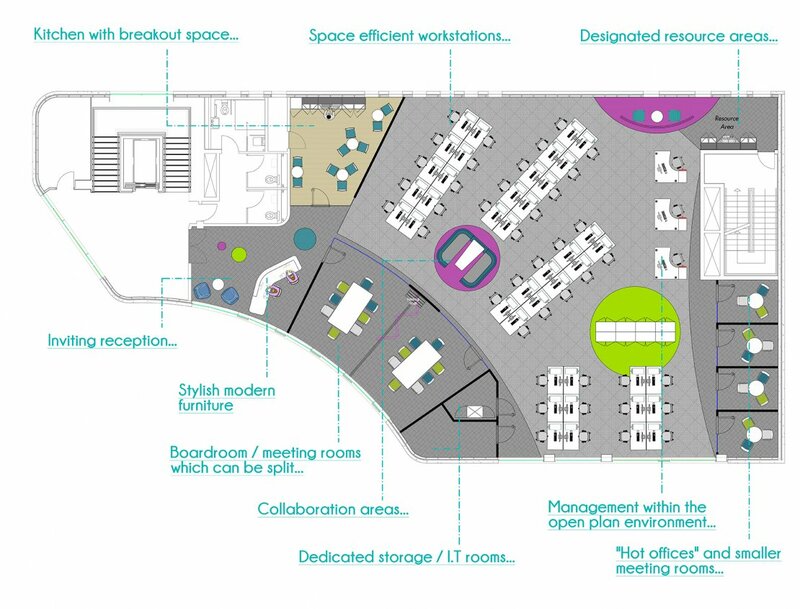 Workspace optimisation is all about making your existing space work better for your business. 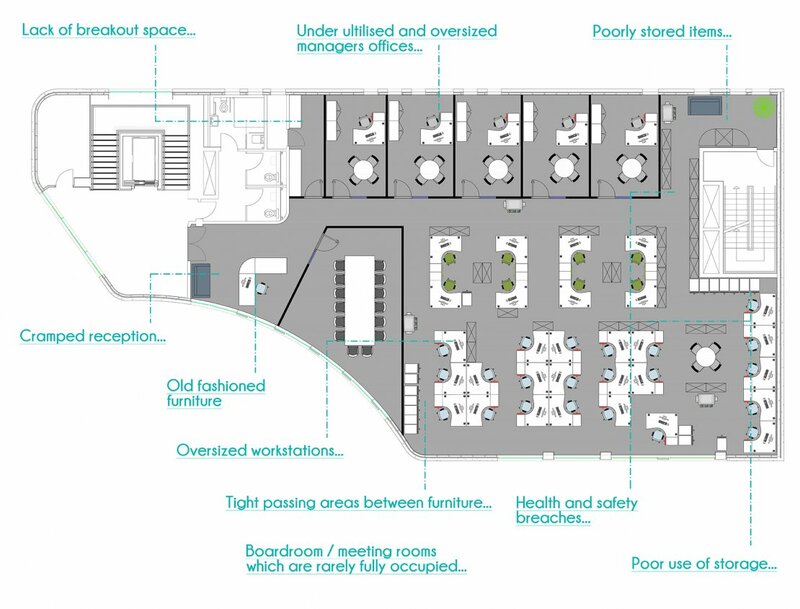 Reviewing the simple elements which make up the workplace such as, workstations or storage can have a big impact and create additional space – see space planning example 1 and our optimised version 2 of the same space. You could also take your workplace optimisation exercise a stage further by engaging an experienced workplace consultant to help you challenge how you work. Example 3, illustrates the impact of activity based planning. All employees have a choice of working environment to suite their task, which ensure space optimisation, increases productivity and helps to improve employee wellbeing. 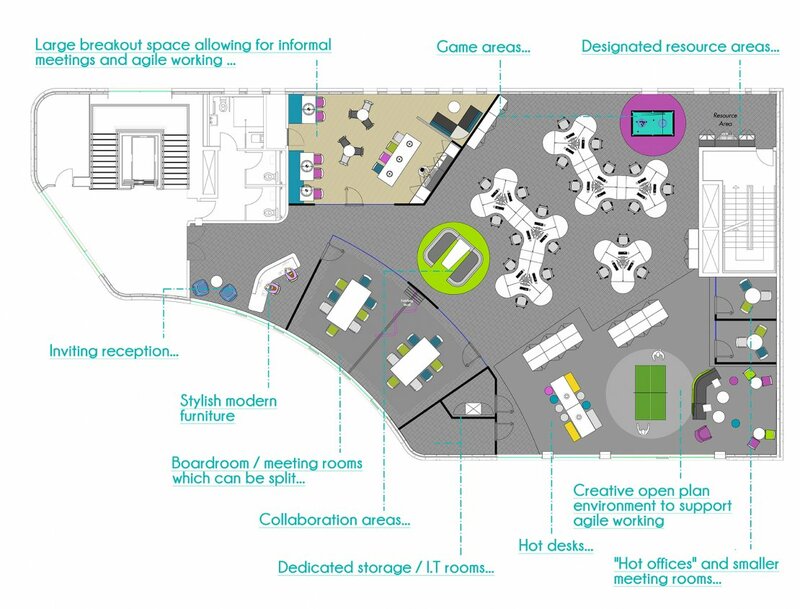 Example 1 – space plan showing typical office layout. revised workstations and storage solutions. activity based planning on office layout. For further information on our work space service, visit Workplace Consultancy.